Available in Hardcover, and Download for Kindle. 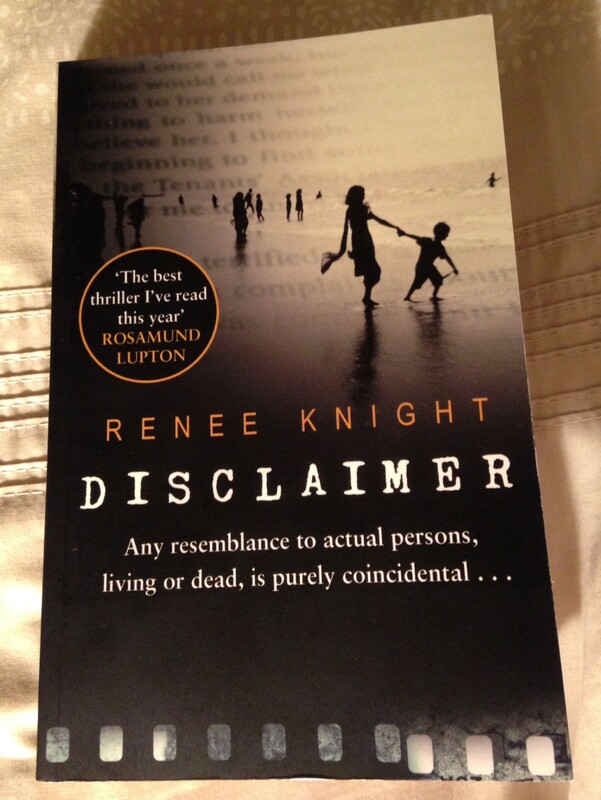 Firstly a big thank you to Alison Barrow for providing a review copy of ‘Disclaimer’ by Renee Knight. This is an exceptional debut novel. I was held captive from the opening page to the last and has plenty of twist that will keep you from putting this book down. Imagine moving house and coming across a novel then you pick it up and realise the book is all about you. What would you think, how would you feel? Here is that rollercoaster thriller that more than packs a psychological punch. Catherine has just moved house with Robert her husband and does find that very book. Now the story unfolds and now try and put the book down. The book is called ‘Perfect Stranger’ a book along these lines needs a disclaimer, you know the one ‘any resemblance to any person living or dead’ etc. It is there bold as brass except it has a neat red line through it. Don’t know about you but that would worry me. My heart was racing from here as I knew I was reading something so unique and so very special. The premise of this story is that Catherine has a secret she has kept locked inside for the last 20 years, so she thought. Renee Knight has written a book that will set you thinking and will play with you. There is more to ‘Disclaimer’ than the reader first realises and as you read on you become hooked. The book moves from Catherine’s narrative to an old man recounting his life with his dead wife Nancy. The one thing about ‘Disclaimer’ is that there are not too many characters so you become intertwined with their lives and with the plot. Clever, brilliant in fact. The one thing about secrets is that you work so hard and worry about keeping the secret safe that in itself is harder than think and someone somewhere knows. If you are planning to read Disclaimer and I urge you to go out and buy a copy, be prepared and cancel all other engagements as you will not put Disclaimer down until you have finished reading it. ‘Disclaimer’ really is that good. One of my books of 2015 without a doubt. Renée Knight worked for the BBC directing arts documentaries before turning to writing. She has had TV and film scripts commissioned by the BBC, Channel Four and Capital Films. Her first screenplay, ‘Mother’s Day’, made it onto the Brit List of best unproduced scripts of that year. In April 2013 she graduated from the Faber Academy ‘Writing a Novel’ course. She lives in London with her husband and two children. Posted on May 25, 2015, in Disclaimer, Doubleday, Renee Knight, Transworld Books and tagged Doubleday. Bookmark the permalink. Leave a comment.